There is something about 'dead rubber' F1 races. That the titles are decided doesn't necessarily mean a lack of drama. On the contrary, they often can provide more entertainment than the multitude of rounds beforehand that decided the honours. Partly it's atmosphere, most of the usual rancour departs with the title tension. Partly it's that those without a drive for the following year have to make sure they distinguish themselves. And partly, conversely, those for whom the pressure is off simply can go for it. And then there's where this particular dead rubber is taking place. 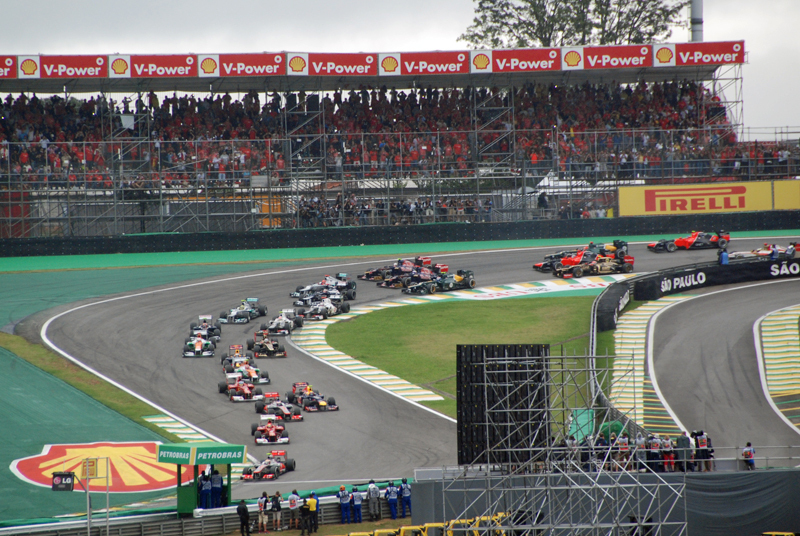 Interlagos, the venue for this weekend's Brazilian Grand Prix, has in recent decades become an F1 calendar outlier - a throwback to the sort of venue that was once common. Here the walls and (numerous, passionate) fans remain close, the facilities remain cramped and rustic, and the driving challenge remains grand. But it goes beyond even these. Even more than Monaco this Sao Paulo venue has shown itself over time to be the place where nothing can be ruled out, however unforeseen. Or implausible. It is F1's answer to the Bermuda Triangle. The track can be tough on equipment too, with the many undulations and acceleration zones testing gearboxes and engines (and both will be close to the end of their respective lives near the campaign's end). The turbos are worked harder in the altitude. 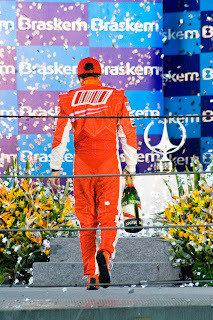 The Senna 'S' at the start of the lap is often the scene of dicing and grief, not least the first time through. Finding a set-up balance can be tricky too, given the circuit combines an incongruous twisty middle section with full-pelt blasts elsewhere. Furthermore this is the shortest circuit on the calendar on lap time, and it contributes to considerable claustrophobia (as does that the track sits in a natural bowl). This has implications for finding space in practice and qualifying as well as for hitting lapped traffic in the race. The short lap usually ensures qualifying is tight on the watch too with minor errors therein another thing punished pitilessly - last year just 1.1 seconds covered the top 10 in Q2. Rain also is a perennial threat. Both deluges and sprinkles have been known and have equal ability to shuffle the pack. In either case they tend to arrive suddenly as well. Last year's race was almost a wash out. Long range forecasts at the time of writing have showers around on Friday and Saturday this time. Yet even with all of this some of this track's Bermuda Triangle ways simply are inexplicable. Where else would an F1 qualifying session have to be ended early due to suspended advertising hoardings falling onto the track? Where else has a driver taken a long-awaited debut victory only to not have it confirmed for a week due to a timing glitch? Where else has a driver been denied an apparently sure title at the very last due an unexplained problem slowing him to a cruise for half a lap? Where else has a title destination changed with literally two corners left, thanks to a marginal intensifying of the rain? Where else has a title been won after a first lap whack that by rights should have ended his day? Where else are power cuts in the paddock so common? Where else does rain usually result in commentary boxes and the like being flooded? And even the rain can have a back-to-front logic here. One memorable case was in 2003 when a river from some source in a nearby spectator bank ran across the track throughout, and eliminated several cars. Another was in 2012 when only Jenson Button and Nico Hulkenberg twigged that staying out on slicks as the rain fell was somehow the quicker option, and they led by half a lap for a time as a consequence. For Mercedes it's just as well it's got both titles taped, as it was long worried about this one, and for above and beyond the general local matters outlined. The twisty middle sector contains the sort of lingering slow-to-medium speed turns that's given the W08 problems all year plus we saw in Mexico the Merc doesn't like piling on downforce in altitude either. 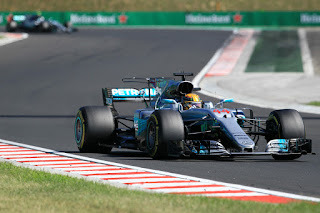 While Lewis Hamilton before last year's visit had neither triumphed nor even started from the front of the grid here. 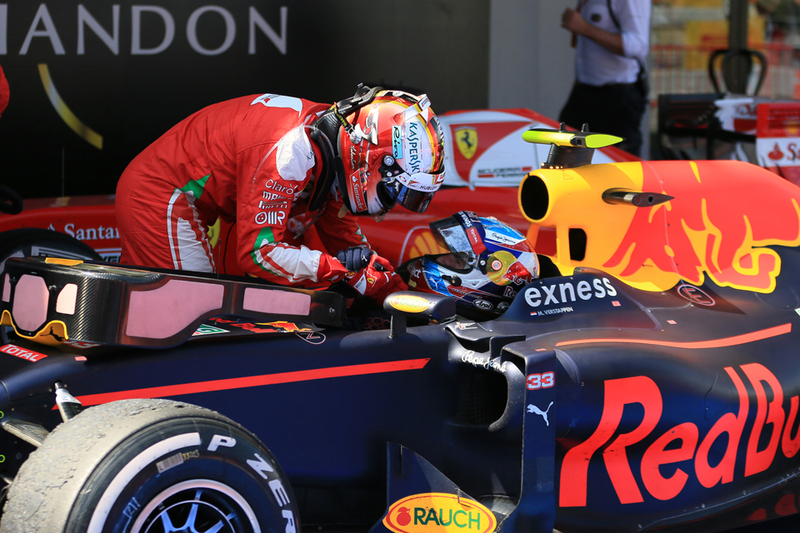 Which leaves Red Bull and Ferrari who as in Mexico will be willing to step into the breach. Max Verstappen has two wins and a second from the last four rounds, and looks at the top of his considerable confidence. The Red Bull will like the twisty undulating challenges; once upon a time indeed the Bulls were a stick-on for the win here, triumphing four times from five before the start of the hybrid era. Ferrari too with all its recent woe has still been right there on the stopwatch and as we saw in Mexico Sebastian Vettel remains a strong bet to start from pole even if the car isn't the pace-setter - and as we know track position counts for a lot. 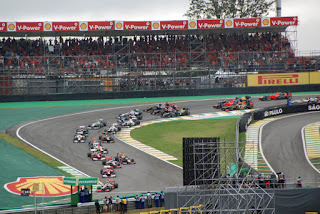 While if Seb, Max and Lewis enter the opening 'S' at Interlagos near to each other it has the same potential for trouble as it did in Mexico... But if they survive we might have the three way (both in drivers and teams) scrap at the front that we've been promised for a while and that circumstance has denied us. As for the rest, there will be many eyes on Felipe Massa. We'll have the odd experience of him getting his second fond farewell at this venue in two years. But he'll be worth watching not just out of emotion - he is one who specialises here. Fernando Alonso and McLaren surprised themselves with how quickly they went in Mexico, and this time it (probably) won't be spoiled by grid penalties. Certainly if Alonso is right that McLaren's chassis is now the sport's best this track will serve it well. Hulkenberg will be worth keeping an eye on too - he has a good record at Interlagos particularly if the rain falls and in such circumstances won pole in 2010 and led in fine style in 2012. 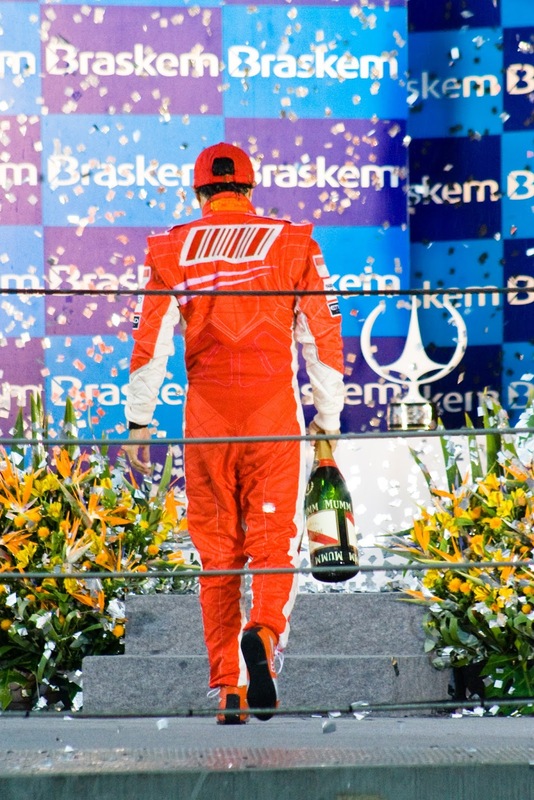 Last year he qualified eighth and finished seventh; the year before it was fifth and sixth respectively. Romain Grosjean last year here qualified a rather incongruous seventh, albeit couldn't make anything of it as he crashed on the way to the race grid in streaming conditions. 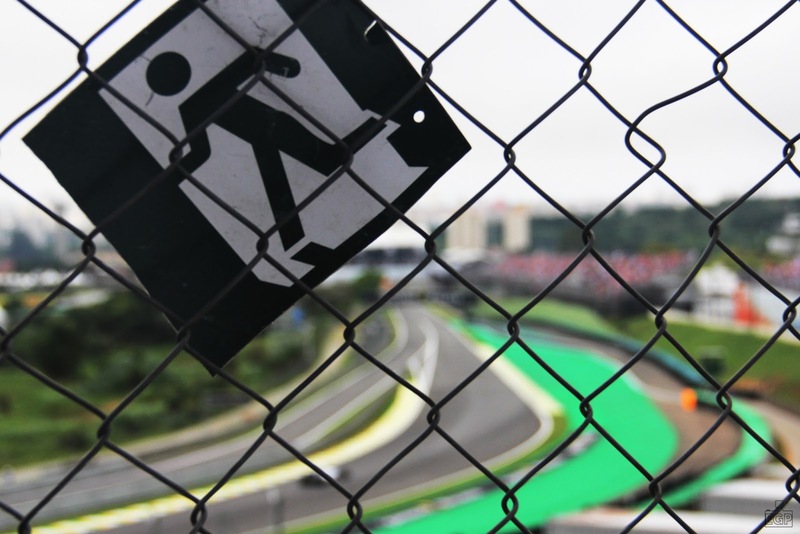 One-stoppers have become the strategy norm this season but Interlagos might stretch this. 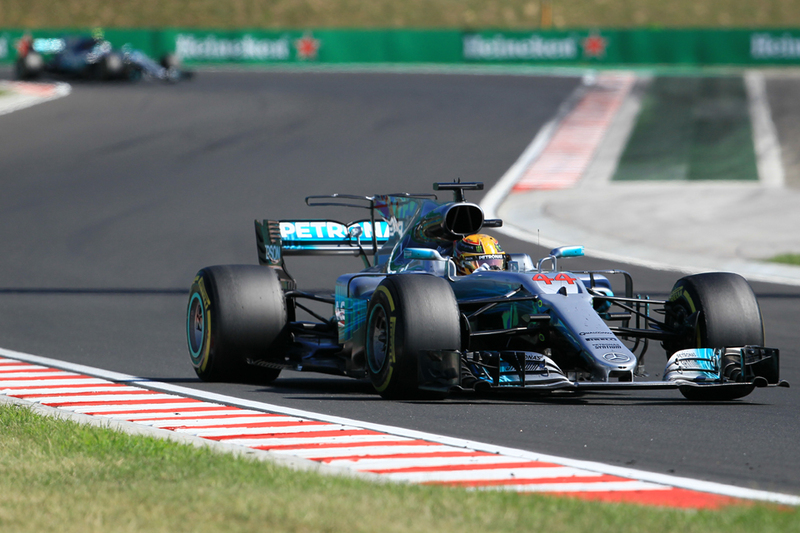 The corners here put a high load through the tyres, and this combined with that overtaking is relatively straightforward and the pitlane exit by-passes the first three turns means two or three-stoppers have been the standard here. Pirelli therefore has often been quite conservative with its Interlagos selections in the past, even bringing the hard compound tyre 12 months ago. This year though it's gone more aggressive as the supersoft is brought along with the soft and medium. And drivers clearly don't expect too many problems, or else aren't afraid of multi-stopping, as they have piled high on supersofts. Yet whatever is the case - and whatever the foibles - this weekend we can all be glad that it's Interlagos. Inimitable Interlagos. Whether you need to remove demolition debris or place steel plates over a roadway excavation, the 35D is up to the task. Outfit your John Deere 35G Trackswith discount rubber tracks, however, and you run the risk of track failure at exactly the wrong time, followed by work stoppage and lost productivity.